We had a very relaxing weekend over here! 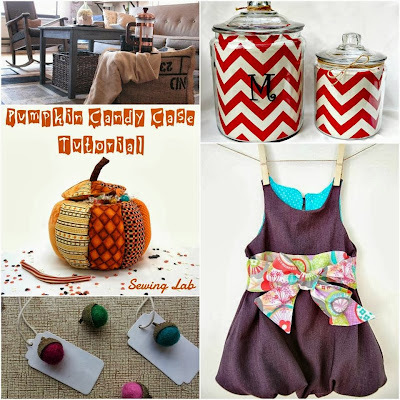 After being super busy with the kids, teaching, and blogging, my craft area was a mess. I had a chance to organize everything and am so excited to get back to some of those forgotten projects -you know you have some of those lingering in the closet too ;-). Am I the only one who thinks organizing is super relaxing? 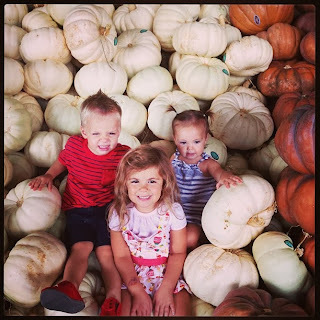 The kids had fun posing for a picture on these 'silly' pumpkins at our local grocery. The rest of the weekend was spent hanging out with friends and setting up the fall decorations. I can't wait to share with you these super cute pallet pumpkin yard decorations that my husband and I came up with. They are so stinkin' cute! Speaking of awesome projects, we had some great Friday features! Thanks to all of you for partying with us last week and we can't wait to see what you have in store for us this week! Thank you for hosting. I enjoy your party each Monday. I linked up my first Halloween mantle decoration that I've ever done. Thanks so much for stopping by! I absolutely LOVE the mantle :-) Thanks for sharing! Your kids are sooo . . . adorable. Thanks for hosting another great party and I hope y'all have a great week! Awesome party ladies!! Thanks so much for Hosting! Hope you have a wonderful week! I'm a new follower!! Thanks for hosting! I'm starting my own blog hop for hope tomorrow! 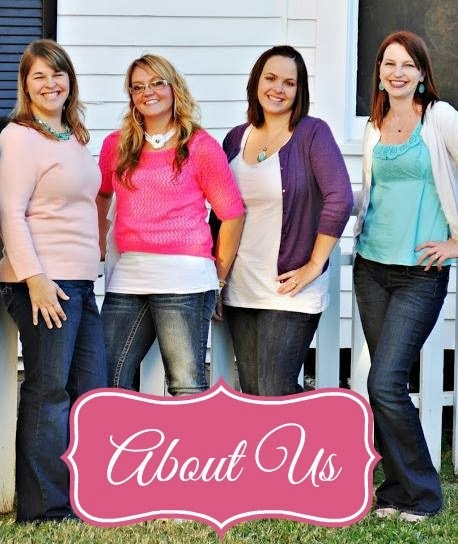 It's called Pinkalicious Wednesday I hope you can link up with us!! Thanks for the follow! On my way over to repay the favor and link up. Have a great week!